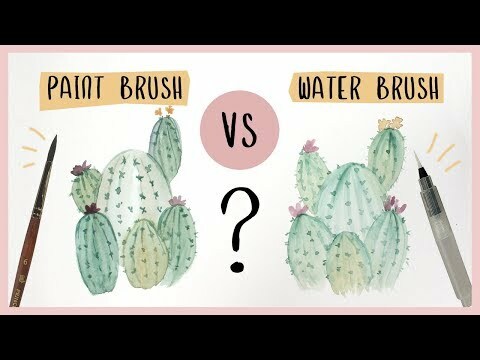 Watercolor Cactus Tutorial – Paint Brush vs. Water Brush? In this video, I wanted to show and explain to you some differences between your regular ol’ watercolour brush and a compact water brush. If you haven’t tried a water brush, it is a plastic brush that holds water in a little reservoir… great for travel! But does it match up to the classic watercolour paint brush?! hmmm… let’s find out! !